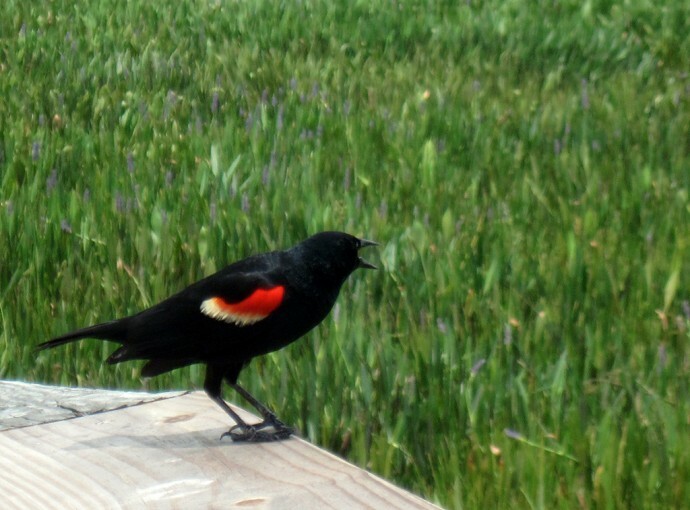 Red-winged blackbird | Florida Hikes! One of the most distinctive sounds you’ll hear in a Florida marsh is the call of the red-winged blackbird, particularly when there are a large flock of them hidden in the grasses. The birds are easily identified by their song and by the red markings on their wings. I see these a great deal at my bird feeder but I have not heard their sounds as yet. Hopefully they will be around all year. They definitely are! Their call is very distinctive and says “Florida” to me.